Proprietary Name: Honey Lemon Cough Drops What is the Proprietary Name? 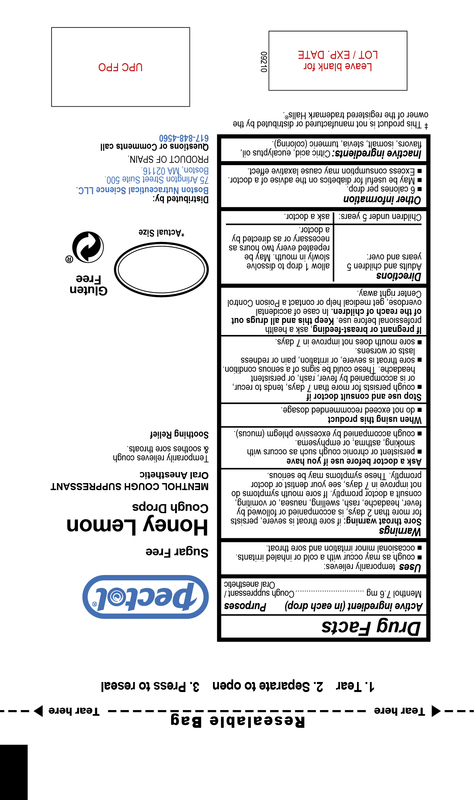 Honey Lemon Cough Drops with NDC 72628-102 is a a human over the counter drug product labeled by Boston Nutraceutical Production Sl. 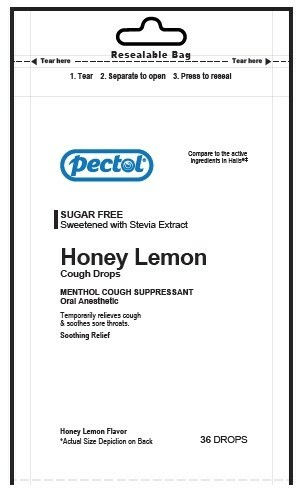 The generic name of Honey Lemon Cough Drops is menthol. The product's dosage form is pastille and is administered via oral form. Dosage Form: Pastille - An aromatic preparation, often with a pleasing flavor, usually intended to dissolve in the mouth. FDA Application Number: part341 What is the FDA Application Number? WarningsSore throat warning: if sore throat is severe, persists for more than 2 days, is accompanied or followed by fever, headache, rash, swealing, nausea, or vomiting, consult a doctor promptly. If sore mouth symptoms do not improve in 7 days, see your dentist or doctor promptly. These symptons may be serious.